You have an interview for an exciting, fast growing tech company, how do you prepare? If you are going for a position anywhere in the Fintech or Tech industry you are going to be up against the best so make sure you are ready for anything that comes your way. Whether it’s an Internship, Apprenticeship or Senior position there are steps you MUST take to ensure you give yourself the best chance of landing the job. Visit the website. Download their app. Read their blogs. Follow them on social media. Try to understand the products they have as best you can. There’s nothing more impressive than showing your potential employer that you know more about their product than they expected you to. It also shows that you’ve actually taken the time to do your own due diligence and that will work in your favour massively. It will also help you answer any questions you come your way, for example “Why do you want to work here?”. Every company has a goal they are trying to achieve. It’s not always “make money for shareholders”. Learn what drives the company forward and get to understand if it’s something you would enjoy being a part of. Take note of the dress culture. Turning up to an interview wearing a track “suit” whilst everyone else is wearing a tailored suit, is just as bad as turning up in a suit whilst everyone else is wearing jeans and T-Shirts. It’s important to align how you present yourself to how the company presents itself. Being invited to an interview is a bit like being invited to someone’s house. You want to be as respectful and as polite as possible to this new person and be considerate to other people in this new environment. Being polite means saying “Good morning!”, “Thank you for inviting me”, “Pleasure to meet you” for example. You also want to bring as much positive energy as you can. I know it sounds a bit “hippy” but the fact of the matter is that people can sense enthusiasm when you talk and feed off the energy you give off. Be passionate when you speak and be as clear as possible when talking about your goals, aspirations and objectives. If you find interviews nerve racking, prepare some notes, make sure you are well fed, well hydrated and do a couple breathing exercises to relax and prepare yourself. It’s important to remember this when you meet someone new. Even if you think you know more than someone, there is always something you can learn from them and something they can learn from you. People like to talk about themselves so asking questions is a perfect way of gaining knowledge and building a connection. Write down a list of questions you want to ask in your interview, either about the company or the person interviewing you. If they are the CEO ask them what their vision for the company was when they started it, how they see if moving forward in the future and what kind of people they want behind this future growth. They might be a Senior employee who has been at the company from a long time. Find out what it’s like to work there or how it’s changed in the past 5 years. It shows that you are inquisitive and hungry to learn more so use questions as much as you can to expand your knowledge. Interviewers will know when you are lying about something. Honesty was voted one of the most important characteristics an interviewer looked out for in a candidate. 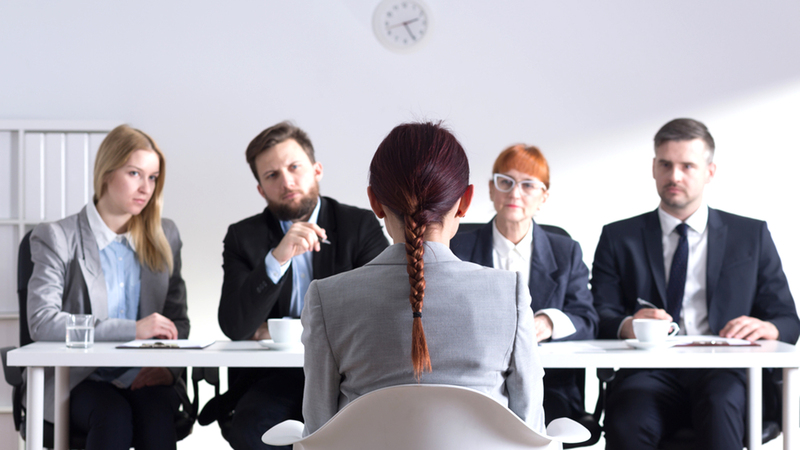 Saying “I don’t know” is a lot better than lying, and an interviewer will appreciate that you haven’t tried to dupe them as many interviewees will have certainly tried in the past. These are just some very basic steps. Always remember to be yourself in the interview and not try to project a false personality of what you think you should be like in the interview. You aren’t here to keep up a facade, believe in your ability and be as confident as you can.